Sources said that the EPFO has invested about Rs 570 crore in the IL&FS bonds. Concerned over its exposure to IL&FS bonds, the Employees Provident Fund Organisation (EPFO) has intimated the Ministries of Finance and Corporate Affairs and sought its help in protecting the retirement fund money of large numbers of people. "Letters have been written to the Finance Minister and also to Corporate Affairs," Central Provident Fund Commissioner Sunil Barthwal told IANS. However, he said the EPFO's exposure in the debt-ridden company's bonds is "very less" considering its total corpus. "Till now there has been no default by IL&FS in paying our interest amount or any principal amount. Now we will have to see, what happens when our interest becomes due. That we are watching," Barthwal said without divulging the amount of investment in the bonds. Sources said that the EPFO has invested about Rs 570 crore in the IL&FS bonds. 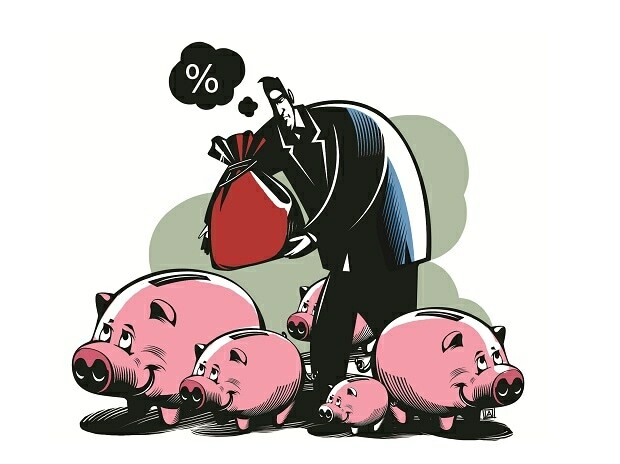 Though it is less than 0.1 per cent of the Rs 8 lakh crore assets under its management, thousands of crores of rupees have been invested by privately managed provident fund trusts. There are over 1,500 companies, both private and public, that are exempted from putting their retirement funds with the EPFO and are allowed to set up and operate their own in-house PF trusts. These include PF trusts of state electricity boards, PSUs and banks. However, these exempted companies are regulated by EPFO guidelines and are required to file statutory returns each month. Complaints can be filed with the EPFO using the Universal Account Number (UAN) which is mandatory for even the employees of in-house trusts. "Till now we do not have any problem with IL&FS but we are concerned, alert and monitoring the situation. In respect of transactions with us, they are on the mark as of now," Labour Minister Santosh Gangwar told IANS restricting his reply only to the EPFO exposure. While the retirement fund body has requested the Finance Ministry for its support on its exposure to the crises-hit IL&FS, it is yet to take up the cause of exempted companies who have invested retirement funds in IL&FS bonds. Both the EPFO and in-house trusts, which have invested in the bonds, are fearing big losses as IL&FS bonds are unsecured debt and the Finance Ministry has said these bonds do not carry any government guarantee and all such instruments face market risks. These trusts have filed intervening applications in bankruptcy court NCLAT stating they fear to lose all money since bonds are unsecured debt. Trust managing funds of PSUs like MMTC, IOC, Hudco, SBI, IDBI, HUL and Asian Paints have also filed petitions.